In order to match helicopter requirements in the next century. Eurocopter has produced its advanced EC 135 and EC 120 Colibri helicopters. Developed from the BO 108 technology demonstrator, the EC 135 is a high – tech successor to the MBB/Eurocopter BO 105, while the EC 120 is generally in the same class as Eurocopter’s own Ecureuil and Gazelle. It meets the Bell JetRanger and MD 500 series head on, and is likely to sell well. D-HECY. seen in the middle of this view of all three EC 135 prototypes, is the sole EC 1350-1 powered by the Pratt & Whitney PW206B engine. Eurocopter considors all EC 135 prototypes to be pre – production prototypes. D-HECX was the first examo. Mcsscrschmitt-Bolkow-Blohm (MBB) flow the first example of its Allison-powered BO 108 on 15 October 1988. The design subsequently evolved into the EC 135. F-WWPA. tho first EC 120 prototype, was assembled at Eurocoptcr’s Mahgnanc facility in Franco. Tho EC 135 was developed mostly in Germany. By April 1997 rwo prototypes of the EC 120 were operational and had complolod 250 hours of flight testing in preparation for certification. ► Having aimed to build 30 EC 135s In 1997. Eurocoptor expects to increase production to 60 per annum thereafter. ► Eurocoptor foresees a requirement for 700 EC 135s up to 2007. ► An Emergency Medical Service (EMS) layout is being developed for the EC 120. ► A number of EC 135s were flying with police forces in Germany and Spain by oarty 1997.
is a serious EC 135 competitor. ► Operating costs of tho EC 135 are 25 per cent below those of the BO 105. 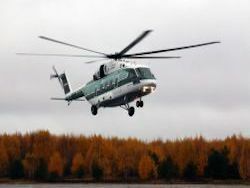 Abovo: Eurocoptor added ал advanced lenestron anti-torque system to tho MBB ВО Ю8. Above: Wearing its smart dark green colour scheme, D-HECZ introduced the EC 135 to America at HeUExpo ‘95 in Las Vegas. Strong competition lor tho type comos from tho McDonnell Douglas MD 900 Explorer. AsvmmetrcaiV ptacea blades dmrvsn the rtsJretivG wtv sting noee associated with it» feoesvon anti axmue system. The EC 135 ts claimed to be the ouetee: n^cops» umuitA? D-HECZ was the third prc-production prototype to fly. It has Arrtus engines and was made for tho type’s debut in North America – potentially a huge market.